Application fields: mining, smelting, construction material, highway, railroad, water conservancy, chemical industry. Applied material: iron ore, copper ore, limestone, quartz stone, granite, sandstone. 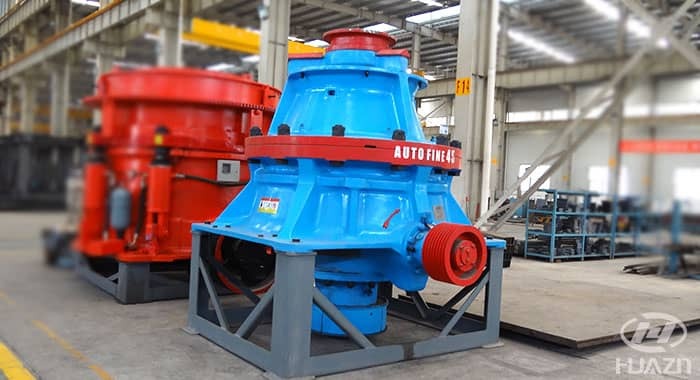 AF series cone crusher is a kind of high-efficient fine cone crusher that manufactured by our compan. 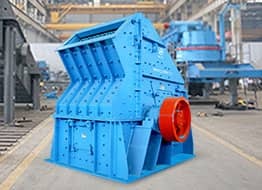 It applied the advanced laminated crushing technique at present and can substitute for impact crusher to obtain the even, fine grain without influence of material properties. So it achieves the epochal crushing capacity. 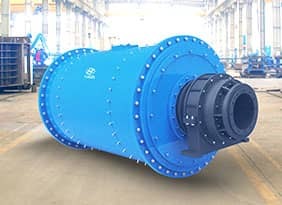 The optimal eccentric distance, discharge opening and automatic, steady feeding make the material to be laminating crushed in the special designed crushing chamber. The machine has features such as big throughput, high product yield, good product shape, easy operation and steadily running etc. Furthermore, it is very quick and convenient to change the wearable parts, and it is very simple to adjust the discharging outlet. 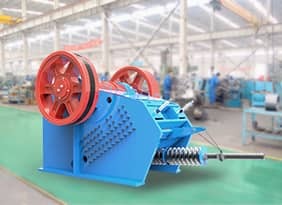 The machine has two kinds of systems for users to choose: Manual operation system and PLC automatic control system. 1. 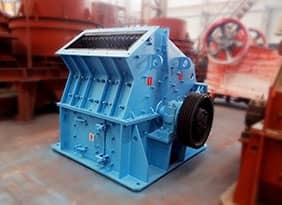 Special crushing cavity is designed adopting laminating crushing theory. 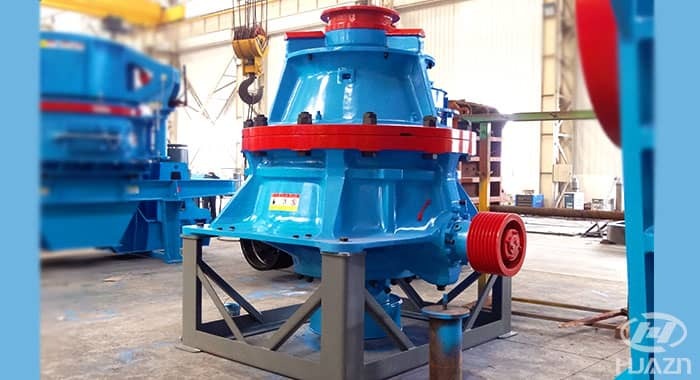 In the effective crushing segment can form a high density layer which guarantees fine particle size, good shape and handsome output. 2. Automatic operating system to ensure a smooth and high-efficient running of machine. 3. To eject the foreign-body by itself. 4. 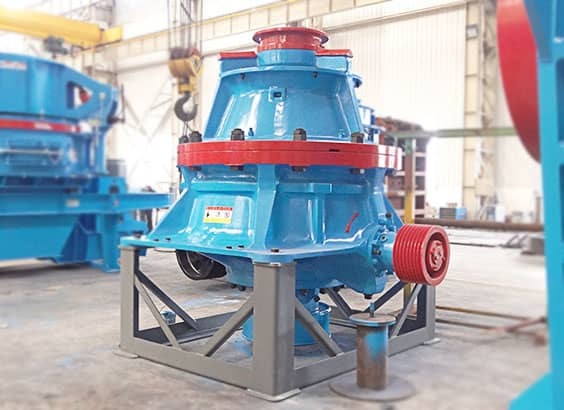 The equal feeding device is able to avoid the deviation of lining and at the same time detect material level by which the feeding materials spread uniformly along the circle.